a place which is free from commercialization of tourism unlike other hill stations. Palampur means a abundance of water and this one hill station where you will find abundance of water. Palampur is situated at the height of 4000ft above sea level. It is a small green hill station which is full of nested pine trees. In 19th century Dr. Jameson introduced Palampur to the world as Tea Capital of Northwest India. The kangra and Palampur tea holds a significant position in the Tea market. 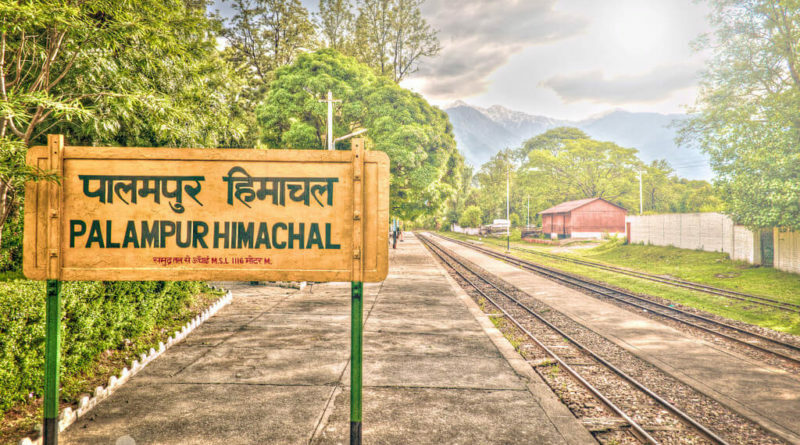 Palampur is also famous for its beautiful view of Dhauladhar Mountain ranges and dazzling green valleys. From Hindu culture and history standpoint, Palampur plays a central place for visiting famous temples like Shri Chamunda Devi, Jwala Ji, Baijnath, Jakhni Mata temple. 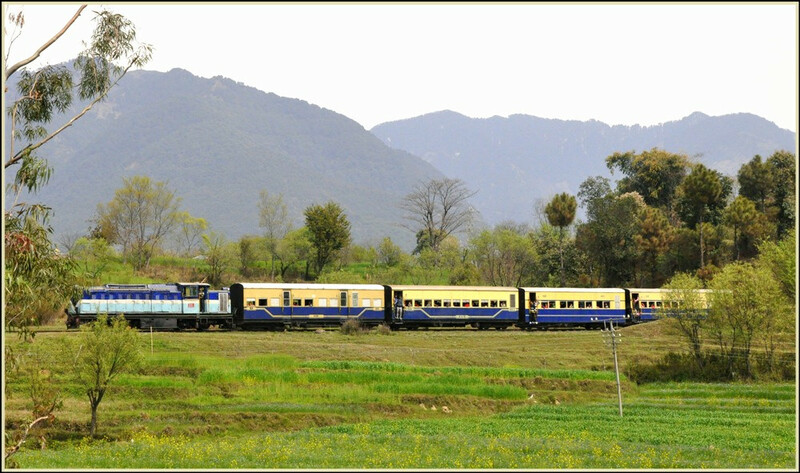 So any one who prefer to travel via train can need to board train twice, first destination to deboard is chukky bank (Phatankot) and again boarding a toy train to Palampur. By Taxi / By Car. Talking of Palampur, it can be reached by buses which are quite frequent (they pass by every 20-30 minutes). Palampur is nothing like a mainstream hill station. It feels like another place in itself – nothing even remotely close to the fast paced life of a typical Indian city. The people are laid back, the market place is extremely simple, there are hardly any street lights, there is no specialty, no mall road. There are quite a few restaurants and bakeries that offer simple food. The market is closed on Monday and the fact that even the locals failed to point that out to us on our journey to the market made us realize how confined the town is to itself. Day 2: Chamunda Mata, Dharamshala and Mcleodganj, night stay in Dharamshala. Day 3: Jwala ji temple, Chintpuri and in evening back to delhi or chandigarh. Note: This is a 3 day itenary and one can customize its trip depending upon the holiday one have got. Day 1 – Saturday – Arrives at 8:15 am in McLeodGanj. Visit Bhagsu Nag Waterfall and Dal lake, Dalai Lama Monasteries. Night Hault at Mcleodganj. Day 2 – Sunday – Go to Palampur and come back to Mcleodganj. Night Hault at Mcleodganj. Day 3 –Monday – Departure from McLeaodganj to Khajjar. Night Hault at Khajjar. Day 4 –Tuesday –Khajjar-Chamba-Bharmour-Hadsar-Khajjar. Night hault at Khajjar. Day 5 – Wednesday – Spend whole day at Khajjar and in evening move to Dalhousie. Night Hault at Dalhousie. Day 6 – Thursday – By afternoon move from Dalhousie to Mcleodganj and in the evening take bus from Mc Leodganj to Delhi. Day 7 – Friday – Arrives in Delhi and then join the office. Palampur have a quite good low cost stay option, one that I suggest to my user is T-bud hotel. For Taxi booking and enquiry feel free to call us @ 7093700356 / 7018385400. Journeytoexplore will make your trip a memorable tour for life time. Previous postKumbh Mela -The world’s largest act of faith.